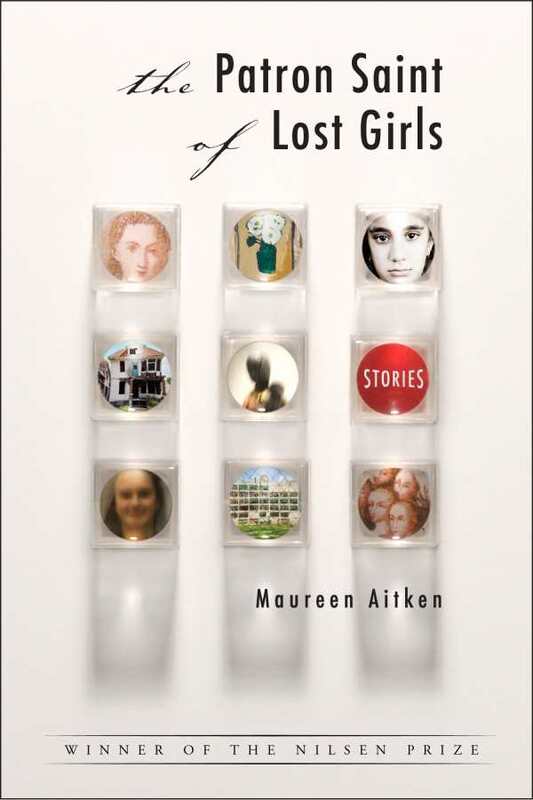 Maureen Aitken’s The Patron Saint of Lost Girls pretends to be a collection of short stories but is not. Instead, advantages of both short-story and novel formats are fused into a mutation which is neither. By the time this subterfuge is exposed, it is more deserving of a standing ovation than an apology. The book’s stories feature female narrators distinctly different from one another. Whether they are sisters, artists, daughters, friends, writers, or lovers, each is in the midst of some crucial relationship on the verge of a catastrophe. Tension mounts and dissipates as danger and doom dance with laughter and a relentless search for meaning. Every story delivers its punch: either some fleeting sensation too extraordinary for words or an epiphany worth the weight of whatever agony preceded it. Since only information essential to each narrative is included, resulting gaps function like those optical illusions created by white space in visual art: enhancing perceptual depth of all that appears on the page through the absence of what doesn’t. One story’s brushstrokes paint over the next without obliterating what came before or distorting what comes after. While no story’s completeness requires ghost images to bleed through, the final one could never be the masterpiece it is without them. Given the astounding result of Aitken’s web of independent yet intimately related stories, The Patron Saint of Lost Girls reveals a previously underexplored genre, one that storytellers have failed to take advantage of. Its rare technique is far worthier of being the norm than the exception.